Farrar, Straus and Giroux, 9780374522827, 432pp. One of the most admired American poets of his generation, James Wright (1927-80) wrote contemplative, sturdy, and generous poems with an honesty, clarity, and stylistic range matched by very few--then or now. 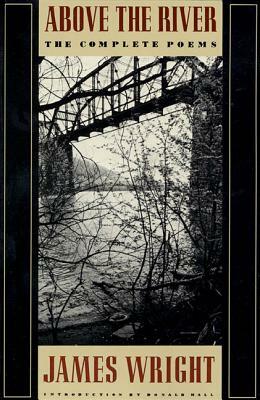 From his Deep Image-inspired lyrics to his Whtimanesque renderings of Neruda, Vallejo, and other Latin American poets, and from his heartfelt reflections on life, love, and loss in his native Ohio to the celebrated prose poems (set frequently in Italy) that marked the end of his important career, Above the River gathers the complete work of a modern master. It also features a moving and insightful introduction by Donald Hall, Wright's longtime friend and colleague. Poetry collections by James Wright (1927-80) include The Green Wall (1957), which won the Yale Series of Younger Poets award, Saint Judas (1959), The Branch Will Not Break (1963), Shall We Gather at the River (1968), and Two Citizens (1973). Wright was elected a fellow of The Academy of American Poets in 1971, and the following year his Collected Poems received the Pulitzer Prize. He died in New York City in 1980, having served on the English faculties at the University of Minnesota, Macalester College, and Hunter College (CUNY). Best known as a poet, Donald Hall lives by freelance writing on his New Hampshire farm. In addition to his many books of poetry, he has published short stories, collections of essays, and children's books.